The Don’t Move Improve competition, now in its sixth year, recognises well-designed home extension projects from across Greater London. Although disappointingly we didn’t win this year’s Don’t Move Improve awards, our project entry has been recognised and features in the exhibition! 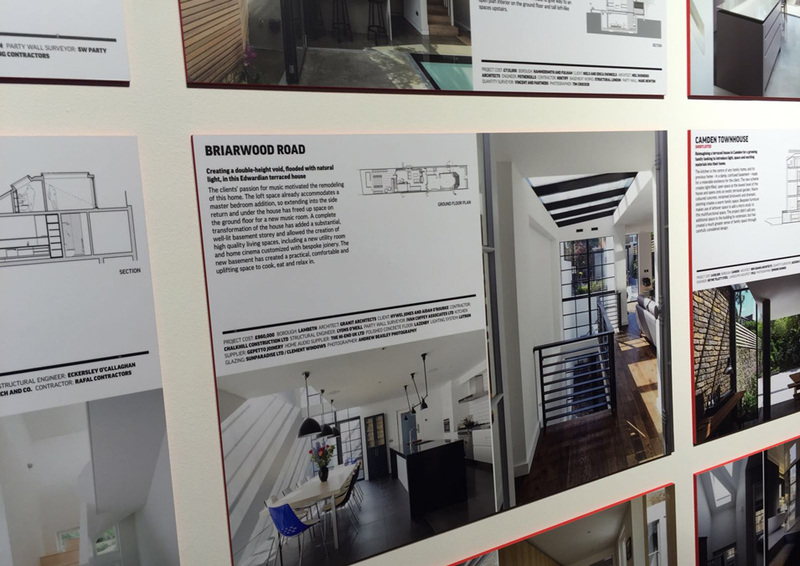 You can view our Briarwood Road project entry here. We are also included in the programme list as a recognised practice too – one that designs innovative homes, demonstrates exceptional creativity and cost-effectiveness in the delivery of better living spaces for Londoners. The full long-list can be viewed here. The exhibition is at New London Architecture’s central London gallery and is open from January-March 2016. Here’s a sneak preview of our exhibition board, but we encourage you to go along and see all of the great creative architecture on display. Robert Wilson and James Munro from Granit will also be attending the Don’t Move Improve Open Day, taking place on Saturday 27th February. If you would like to book an appointment to talk with Robert or James about your home design project at the Open Day you can reach us here.